The Beaufor company is located in the heart of Champagne area, in France. 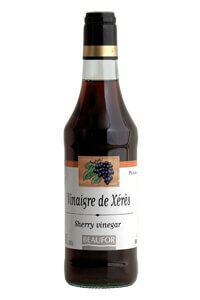 The grand tradition of French cooking is being kept alive as they produce the best grade of vinegars, like this Sherry Wine Vinegar. For more than one century, quality has been Beaufors keyword and they have achieved excellence of taste through a harmonic blend of flavors. This Sherry Wine is aged in oak barrels, where the wine slowly converts into vinegar. Its flavor pairs well with walnut oil in salads and is ideal to spice up a white meat sauce.